This is a Sponsored post written by me on behalf of Duck Brand® for SocialSpark. All opinions are 100% mine. When Duck® Brand sent me a box of their holiday tapes asking me to create a holiday craft… I went a little overboard. Instead of making one Christmas project, I ended up decorating my entire mantel with the stuff! I had so much fun working with the adorable prints and colors, that I just couldn’t stop myself. Later in the day, I will share a few more projects I made with the tape. 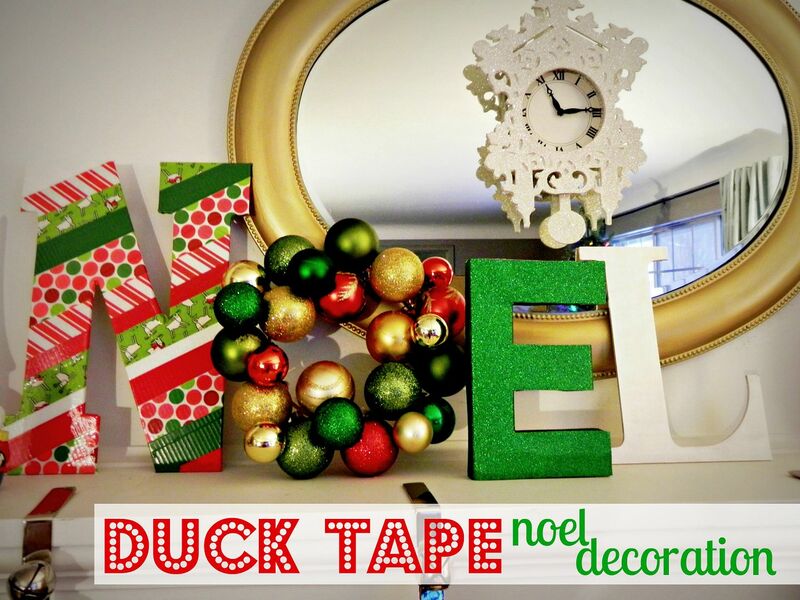 First, I would love to show you my NOEL Decoration featuring a Duck® Tape striped initial. I was inspired by this lovely NOEL decoration created by Finnish blogger Villa Haikara. I needed to make my version fit with the colorful decorating I planned to do this year, and the holiday Duck® Tapes were the perfect way to make that happen. I simply taped overlapping strips of holiday patterned tape onto a large wooden letter N. I used scissors to cut the tape so that I could wrap the excess around the back of the letter. Simple as that! I made a small version of my Dollar Store Ornament Wreath to serve as the O. I bought a papier mache E and covered it with glittery scrapbook paper. Finally, I painted the wooden L with pearl white craft paint. The whole project was finished in an afternoon, with the striped inital taking the least amount of time. 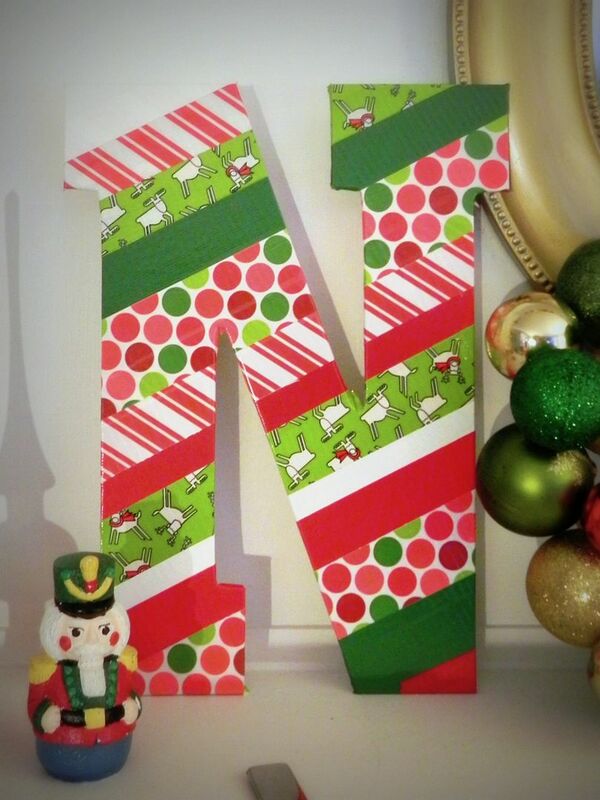 With all the fun patterns of Duck® Tape available in stores, you could easily adapt this project to make fun initials for a nursery wall or to spell out some other holiday-themed word! I love my new NOEL decoration and have it as the main focus of our Christmas mantel. 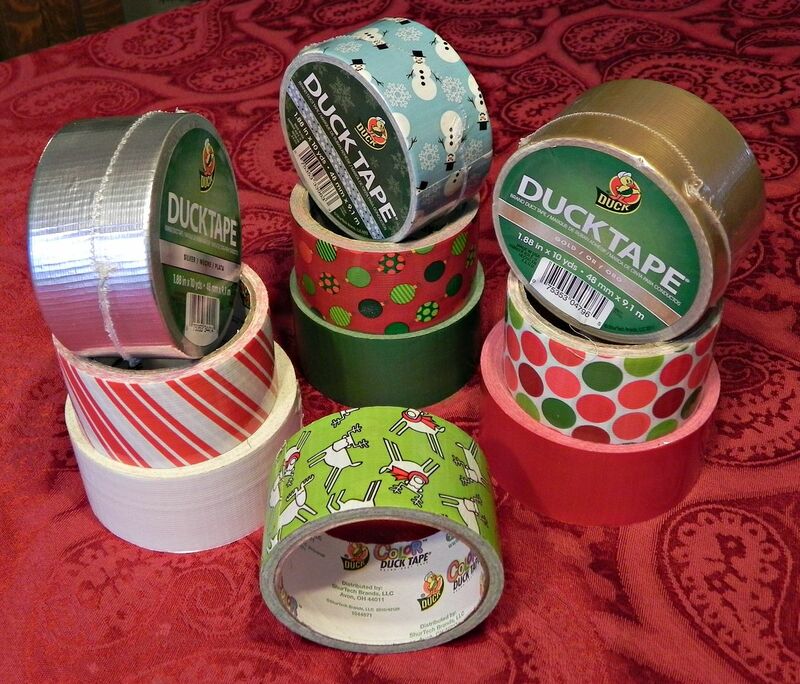 For more Duck® Tape Christmas projects, visit again later in the day! Be sure to like Duck® Tape on facebook too!